• Tower Bridge – An eight year project which opened in 1894. For more, see our earlier post, Treasures of London – Tower Bridge. • Albert Memorial – Completed in 1876, the memorial to the Prince Consort is a masterpiece of the Gothic Revival style. For more, see Curious London memorials – 2. The Albert Memorial. • Trafalgar Square – While plans were drawn up by John Nash, it was Sir Charles Barry who designed the basic layout we see today. See our earlier post – What’s in a Name?…Trafalgar Square for more. You can see all the previous entries in this series here. 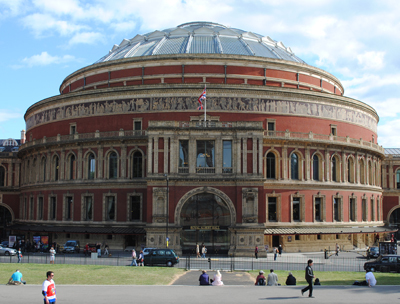 What do you think is the most iconic Victorian building in London? Precipitated at last by the so-called ‘Great Stink’ of 1858, Sir Joseph Bazalgette’s subterranean sewer system was a remarkable feat of engineering and made radical new inroads in improving the health on Londoners during the Victorian age. 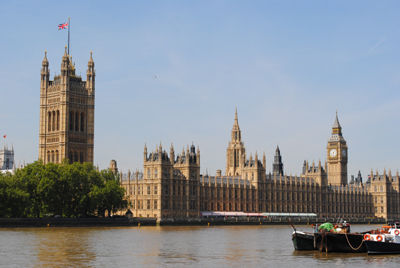 The state of the River Thames – basically an open sewer – and the city’s water supplies had become a growing cause for concern as the population of the city – and the amount of waste they produced – increased. Not surprisingly in the mid-1800s this led to outbreaks of cholera which killed tens of thousands (the outbreaks were generally attributed to a miasma in the air until the work of Dr John Snow eventually proved otherwise – see our earlier entry on the Dr John Snow pub here for more). 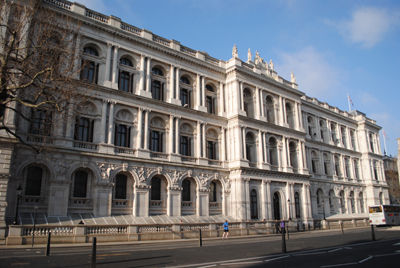 But it wasn’t until the hot summer of 1858 that – unable to escape the stink of the river under their noses at Westminster – politicians decided something had to be done. 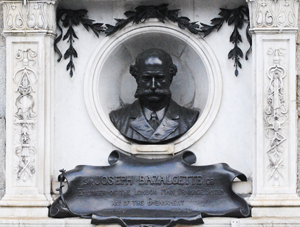 Bazalgette (depicted right in a monument at Victoria Embankment) was chief engineer at the newly formed Metropolitan Board of Works (he was appointed in 1856) when legislation was passed which paved the way for the board to create a sewer system underneath London’s streets to serve the growing metropolis. He designed an ingenious system in which the flow from existing sewers and underground rivers was intercepted before it could reach the river and diverted along new low level sewers to treatment works. 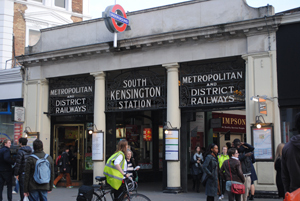 All up, the £4.2 million project involved the construction of 1,100 miles of street sewers and five major brick-walled sewer tunnels which ran for some 82 miles along the banks of the Thames and were large enough to cope with the rising demand as the city grew. 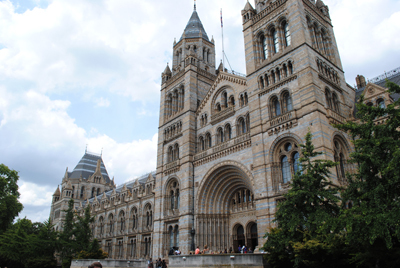 It also meant the creation of several massive embankments along the river, narrowing the Thames as land was reclaimed from the river. 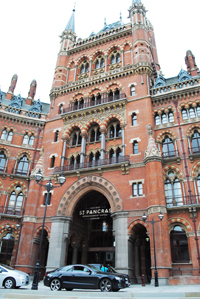 The work proceeded apace and much of the system was completed by 1866 (it was officially declared open by Edward, the Prince of Wales in 1865). 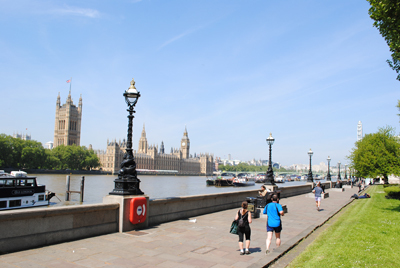 The Victoria and Albert Embankments – located on the northern and southern banks of the Thames respectively – were both open by 1870 and the Chelsea Embankment further upriver was completed in the mid-1870s. Bazalgette was knighted for his efforts in 1875. The system, which also featured a series of ornately decorated pumping houses, has since been considerably extended and upgraded but at its heart is still that which was created by Sir Joseph and his team. For more on the creation of Bazalgette’s sewer system, try Stephen Halliday’s The Great Stink of London: Sir Joseph Bazalgette and the Cleansing of the Victorian Metropolis . For a mystery set against the backdrop of London in the mid-1800s, check out Clare Clark’s novel The Great Stink . 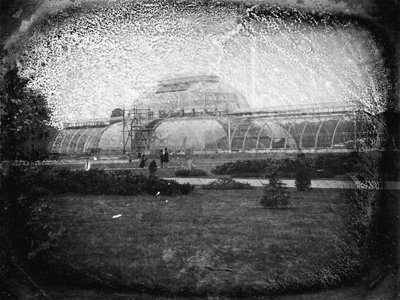 We head back before the creation of the grand buildings of Albertopolis for this week’s entry to the construction of the Palm House at Kew Gardens – widely considered the world’s most important surviving Victorian-era glass and iron structure. Designed by the great architect Decimus Burton (his other works include Wellington Arch), the now Grade I-listed Palm House was built under the supervision of leading Irish glasshouse designer Richard Turner between 1844 and 1848 as a home for Kew’s collection of exotic palms. Turner borrowed from the ship-building industry to build the structure, which contains 16,000 panes of glass, with the design essentially that of an upturned ship’s hull. Due to the fact that the palms needed a warm environment in which to live, coal-fed boilers were located in a basement below the Palm House which heated water pipes running throughout the building (the smoke from the boilers was diverted to the Italianate Campanile located a short distance away which acted as a smoke stack). The Palm House (the earliest known picture is shown above) has been restored several times – first in the 1950s when the boilers were converted to run on oil and moved to a site behind the Campanile, and again in the 1980s, a complete overhaul which involved almost completely emptying the structure of its resident palms, dismantling and rebuilding the structure itself. 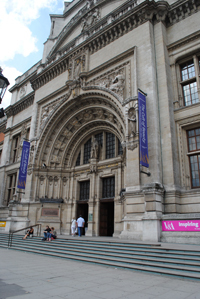 It was officially reopened by Queen Elizabeth, the Queen Mother, in 1990. Among the many exotic plants inside the glasshouse – which rises to a height of 19 metres – highlights include the rare triangle palm (Dypsis decaryi) from Madagascar, a Mexican yam (Dioscorea macrostachya), used apparently in the development of the contraceptive pill, a double coconut palm (Lodoicea maldivica) which bears the largest seed in the world, and a cycad (Encephalartos altensteinii) which has been described as the “world’s oldest pot plant” and was brought to Kew from South Africa in 1775. WHERE: The Palm House, Kew Gardens (nearest Tube station is Kew Gardens); WHEN: 9.30am to 3.45pm except Tuesday when it closes at 2pm (closing times change with the seasons); COST: £14.50 adults/£12.50 concessions/children 16 and under free; WEBSITE: www.kew.org.